Tax season is here once again and taxpayers everywhere will be gathering their receipts and other tax documents. To make preparing your tax return easier, the first step should be to organize your receipts. With the doubling of the standard deduction, many individuals will no longer itemize deductions which should make filing a tax return easier. There are certain events that may trigger a capital gain tax liability such as the sale of investments or a home. 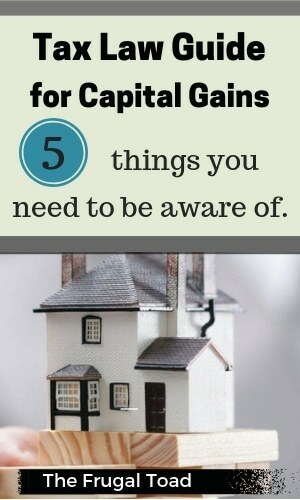 Here are 5 things every tax payer should know about capital gains taxes. Capital Gains Tax is levied on the sale of certain assets and is calculated on the positive difference in the original acquisition cost of the asset and the sales price. Rates vary from 0% to 37% and are affected by the income tax of the seller and how long did the asset was held before it was sold. An example of Capital Gains Tax is when someone sold a car and gained $5,000 out of that transaction. Whether that someone is a car dealer or just an average citizen trying to sell an old car for a new one, the $5,000 is subjected to Capital Gains Tax. The tax rate that will be used for $5,000 will depend on income tax and term. This will be discussed in the next item. There are two types of capital gains tax: short-term and long-term. Short-term capital gains tax is a tax levied on profits from the sale of an asset that was held for one year or less. The rates for short-term capital gains are 10%, 12%, 22%, 24%, 32%, 35%, or 37%. 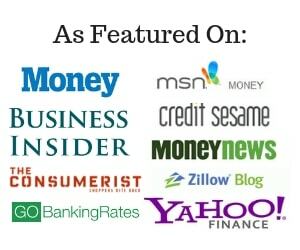 Rates will depend on the ordinary income tax rate bracket you fall under. Long-term capital gains tax is a tax levied on profits from the sale of an asset that was held for one year or more. Rates for long-term capital gains are 0%, 15% or 20%, depending on your taxable income. From a tax standpoint, it is usually advisable to hold on to an asset for longer than one year to avoid the higher short-term capital gains rates. 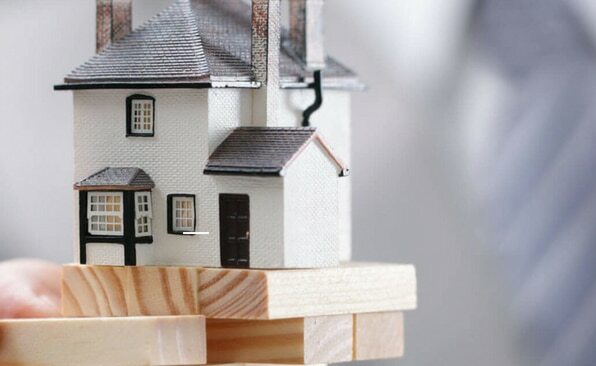 In order to avoid capital gains tax on the sale of a residence it must meet the following conditions: 1) You have owned the home for at least 2 out of the last 5 years 2) The home was your principle residence 3) You lived in the home for 2 out of the last 5 years and 3) You haven't claimed the exemption in the last 2 years. Taxpayers can exclude up to $250,000 on capital gains if single and $500,000 if married and filing jointly separately. Not all the assets being sold are targeted by CGT. Assets which are known as “Capital Asset” are the only assets charged with capital gains tax. These are properties that can potentially generate value in the future or in a period of time. Capital assets are classified into tangible and intangible. Stocks and bonds are examples of intangible assets. Meanwhile, tangible assets include cars, boats, land, and real estate. Minimizing Capital Gains Tax is also possible in three different ways. The first and the easiest method is to wait for the asset to fall under long-term capital gains, so it would be subjected to long term capital gains tax for lower rate applied. The second one only applies to a primary residence. Certain capital improvements done in the house property can be used to increase the cost basis of the property and minimize the capital gain tax liability. The way to minimize capital gains applies to investors and traders, capital losses can be harvested and used to reduce the net capital gain. For example, lets say that you sold some stock for a profit. Let's further assume that you have a stock that has generated a loss on paper. You can reduce your tax liability by selling these shares and use this capital loss to offset other capital gains. If your capital losses exceed capital gains, you can claim up to $3000 (single tax payers) in losses in the current tax year and carry the additional loss forward until the net loss is “used up”. A 1031 Exchange, also know as a like-kind exchange, is the exchange of one investment property for another. The 1031 exchange can be a powerful tool that allows you to rollover the gains from one investment property into another investment property in-effect deferring capital gains taxes indefinitely. Current IRS regulations even allow you to delay the purchase of the new investment property up to six months by using a three-party Starker exchange. Capital Gains Tax is the only voluntary tax that exists in the law. Voluntary? How can it be voluntary if I have to pay it? This tax is considered as a voluntary tax because the owner of the property will not be taxed until the property is sold. CGT Tax is only levied when earnings are confirmed. For example, if someone wants to sell his shares which he got for $10, which now amounts to $200, then the gain of $190 will be subjected to CGT. However, the gain would only be realized as earnings if the share was sold. As with anything that could impact your tax liability it is highly advisable to consult with a professional tax advisor.